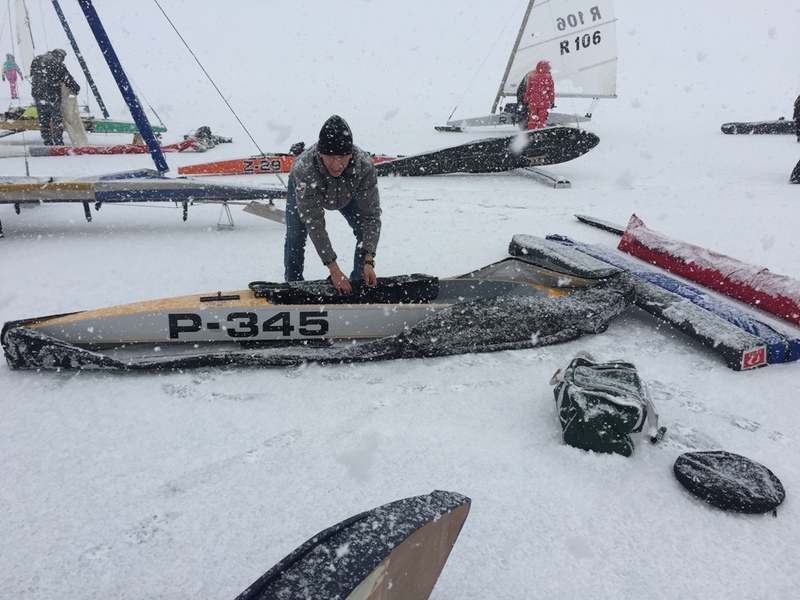 Somehow it happened and once more I am at Baikal for an ice yachting race. Already the third time this year. Originally I didn’t want to go but in the end Diderick Riemsdijk H 467 persuaded me. He called in January to say that there was only one place left in the container. I’ve a suspicion he said that to all the participants. 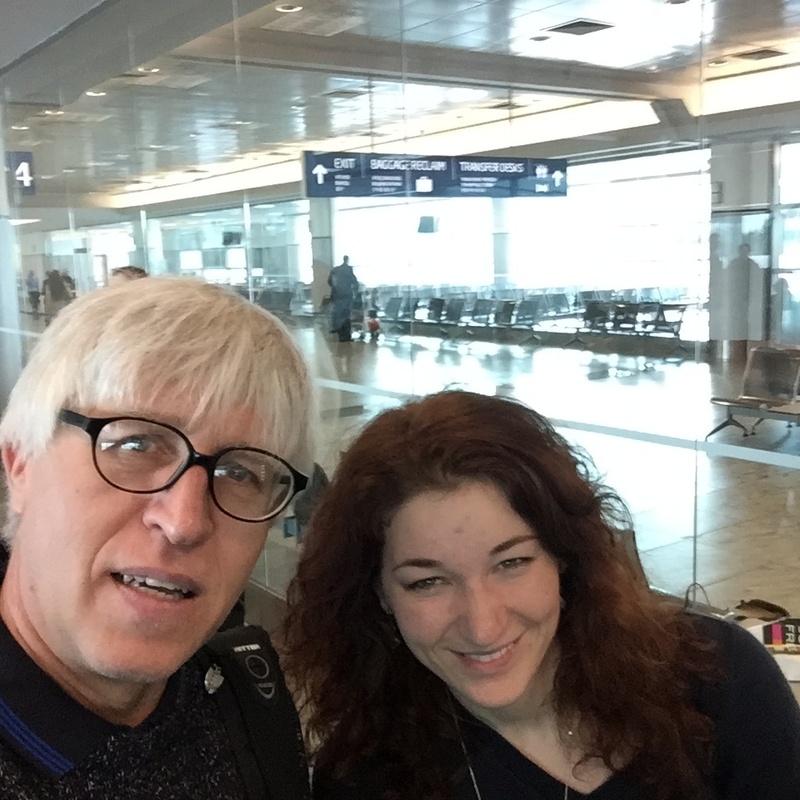 I fly from Prague to Moscow together with Pavlína Soukupová. The Czech sailors are already familiar with her as a photographer. Now her fame has spread and Pavlína has been invited to be the official photographer for the Baikal week of ice yachting. In Moscow we meet up with the European expedition and fly on together to Irkutsk. Everything goes smoothly there with no lost luggage. We get into the minibus and carry on for another five hours of twists and turn to the Ujuga base on the shore of Lake Baikal. The container with our equipment is already there and we immediately start unloading. 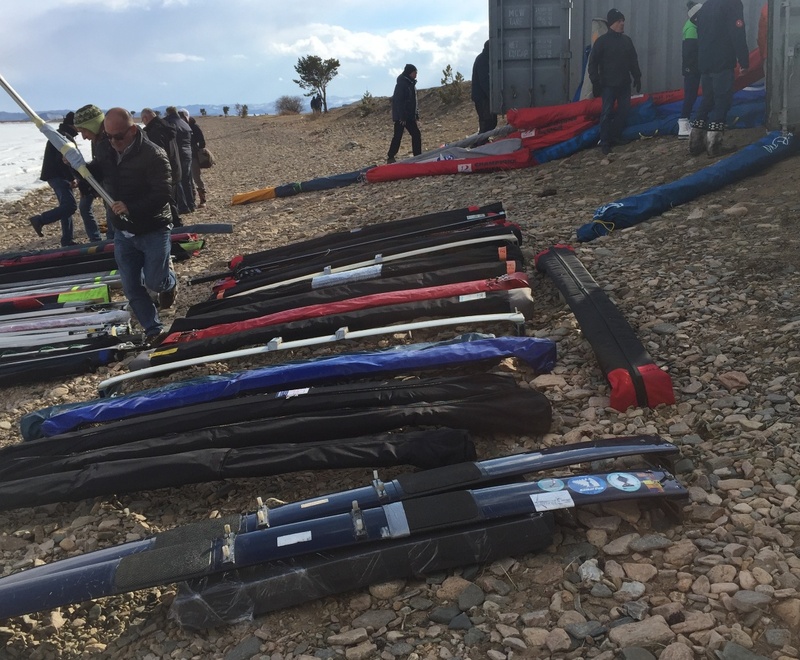 We put the ships together and prepare everything for tomorrow’s first race. The lake’s ice is soft, the surface slushy, white and opaque. The ice is 110 cm thick. As little as ten days ago the ice was like a blue mirror with occasional drifts. The premature arrival of warm weather however has spoilt this idyll and who knows how it will go tomorrow. Together with Petr Hamrák M 53 we come to the conclusion that these idyllic photos of translucent blue Baikal ice, which the organisers and Diderick H 467 sent out probably originated last century. And in this century it has never been smooth, and that it was just a kind of lure, which in this case worked perfectly on the two of us. Weary from lack of sleep on the full airplane and the six-hour time difference we go to sleep.